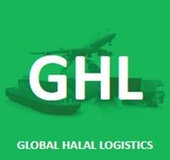 Who is Global Halal Logistics ? Global Halal Logistics is the first global company whose main activity is dedicated solely to the carriage of Halal goods. 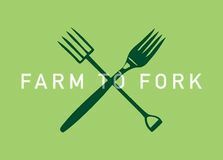 Our goal is to ensure our customers and consumers the Halal integrity of their products during the logistics flow. Our company mastered perfectly the operations of the supply chain and adapted them to Halal standards. The network we have developed allows GHL to exercise its services around the globe. Physical and virtual segregation of the products inside the warehouses and during the transportation. The guarantee that the goods are not mixed with Haram products. Bringing up to standards the several players of our logistics chain (warehouses, containers, trucks etc…) . Strict internal audits to maintain our quality service. A real time tracking system of the goods. Our company is certified for its logistics operations by International Halal Integrity Alliance, a worldwide famous organism, member of the Islamic Chamber of Commerce and Industry. This collaboration between GHL and IHI Alliance enlighten the seriousness and the discipline that we will apply to guarantee you a logistic solution complying with your principles.